Other information: Good with other cats, dogs and ferrets! 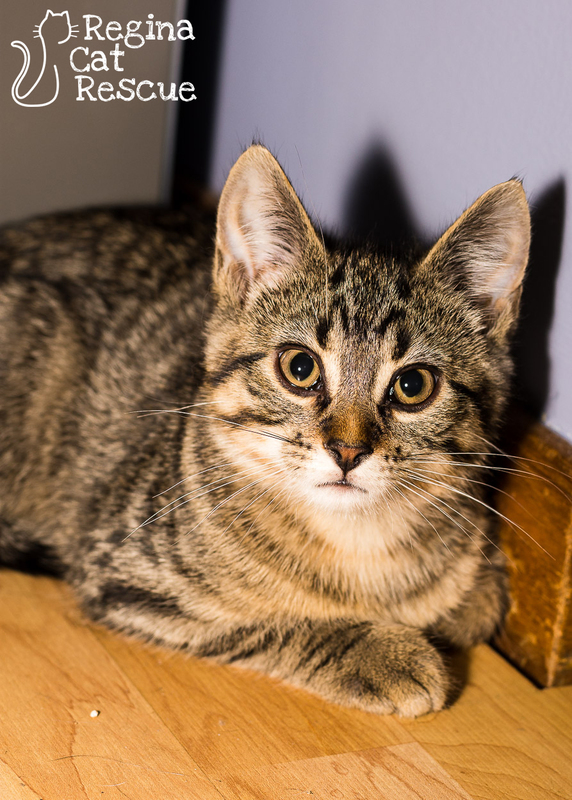 Hei Hei and his siblings were born outside to a beautiful mama cat in need of a home. Luckily they were rescued and placed into foster care. Like his mama, Hei Hei was named for a character in the Disney movie, "Moana". Hei Hie is a bundle of sweetness, playfulness, and cuddliness. He is a clever little guy who knows his name and answers to it. He can be a bit shy to strangers but warms up quickly. Hei Hei likes to greet his foster mom at the door and looks up, gives a little mew to say welcome home, and proceeds to ask for cuddles! He can be chatty, especially if he thinks it should be time for food. Hei Hei does have an inquisitive nature and likes to check out open cupboards. Another favourite pastime is helping his foster family use their tablets. 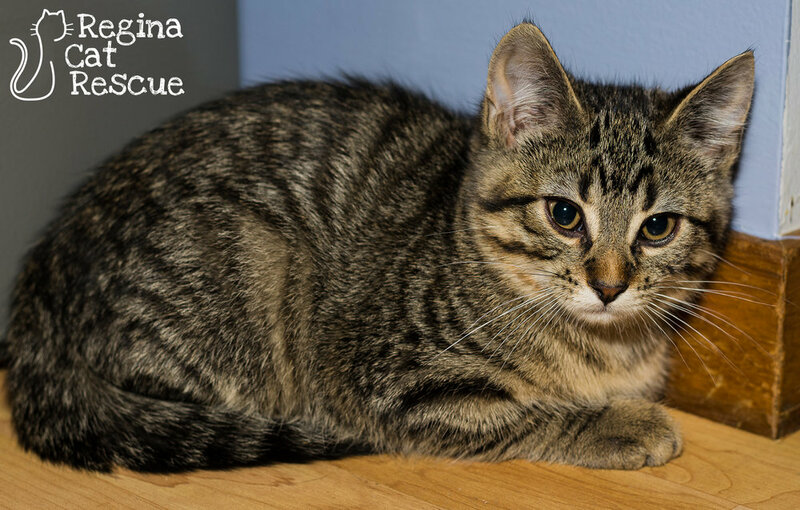 This easygoing little guy is playful with his siblings but also content to explore on his own. He is super cuddly and can often be found on the chest or lap of one of his human housemates. He is good with dogs, cats and even ferrets and will fit in well to almost any cat-loving home. If you are interested in Hei Hei, click here to view our adoption contract and click here to complete an adoption application or email the RCR Adoption Coordinator at rcradoptions@gmail.com for more info.